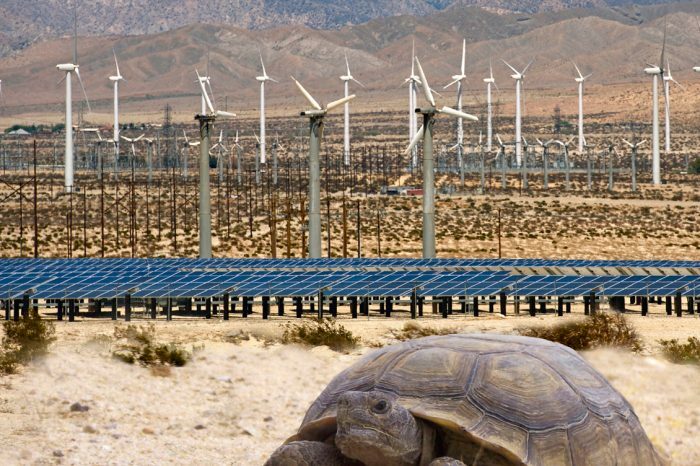 To facilitate renewable energy development across California’s Mojave and Colorado/Sonoran deserts while conserving natural resources and uses, the Bureau of Land Management, U.S. Fish and Wildlife Service, and California’s Energy Commission and Department of Fish and Wildlife undertook a collaborative planning effort, resulting in a two-phased approach addressing public and private lands. 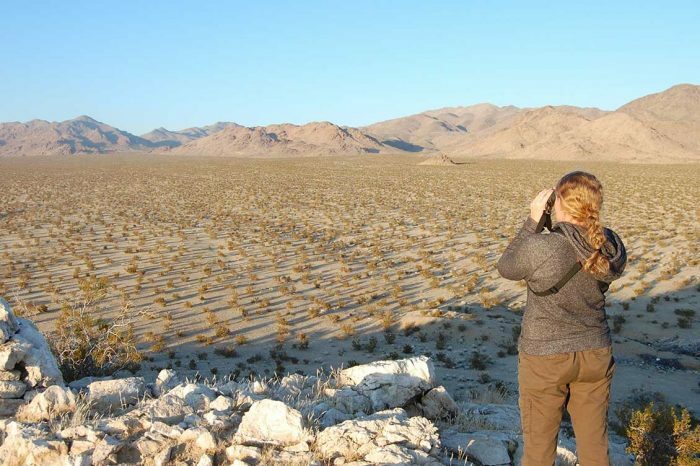 The California desert abounds with solar, wind, and geothermal resources that will help reduce greenhouse gases and promote energy independence. A plan was needed to provide a streamlined process for developing utility-scale renewable energy generation and transmission consistent with federal and state renewable energy targets and policies, while providing for the long-term conservation and management of special-status species and vegetation, as well as other physical, cultural, scenic, and social resources within the 22.5 million-acre plan area. Our biologists and planners facilitated developing all components of the landscape-level plan that includes designation of use zones and management directives for renewable energy, resource conservation, and outdoor recreation. We prepared the Draft General Conservation Plan, Natural Community Conservation Plan, BLM Land Use Plan Amendment, and EIR/EIS. We subsequently prepared the Final Land Use Plan Amendment and Final EIS. Our publications team managed the massive documentation and publication effort, editing, formatting, and producing more than 20,000 pages. The signed Record of Decision in 2016 marked completion of Phase I of the DRECP addressing public lands.